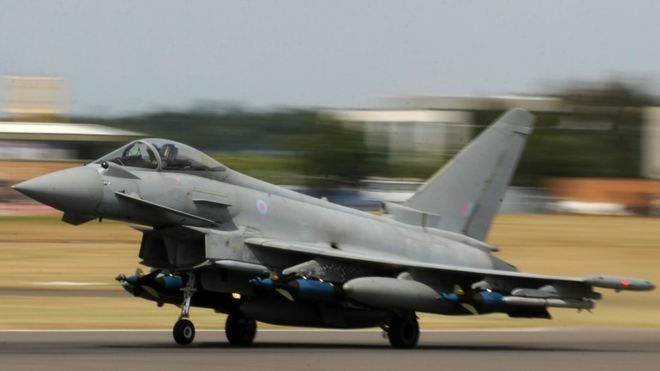 A total of 750 posts will go at the Warton and Samlesbury plants in Lancashire where parts for the Eurofighter Typhoon are manufactured. BAE is facing an order gap for the Typhoon so wants to slow production before an expected order from Qatar. Outside Lancashire, 400 posts will close in Brough, East Yorkshire, 230 will go at RAF Marham and 15 are being lost at RAF Leeming. Meanwhile 340 maritime jobs will be lost in Portsmouth and Solent region and a further 180 posts will go in London, Guildford and other locations.